Strictly speaking this should be in our Ultimate collection! 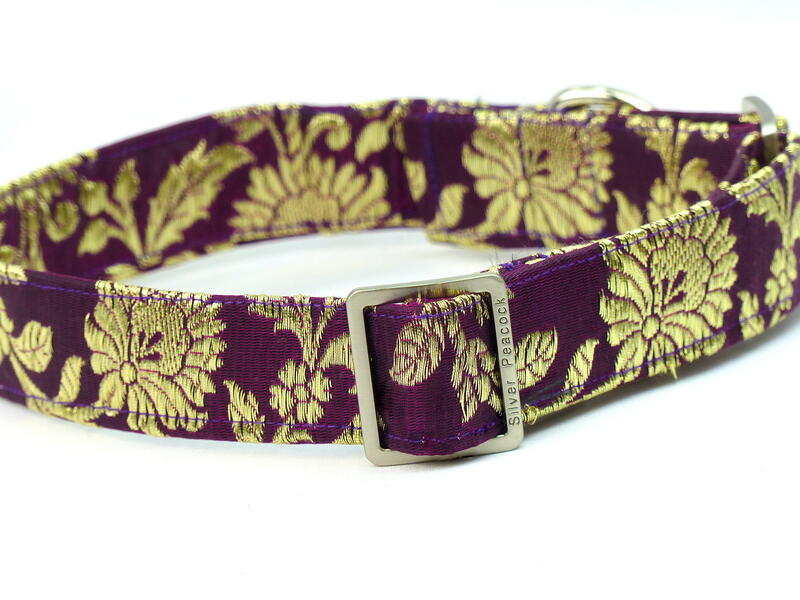 It's one of those collars that you know will turn heads at that special event! Hounds going to a wedding or garden party? 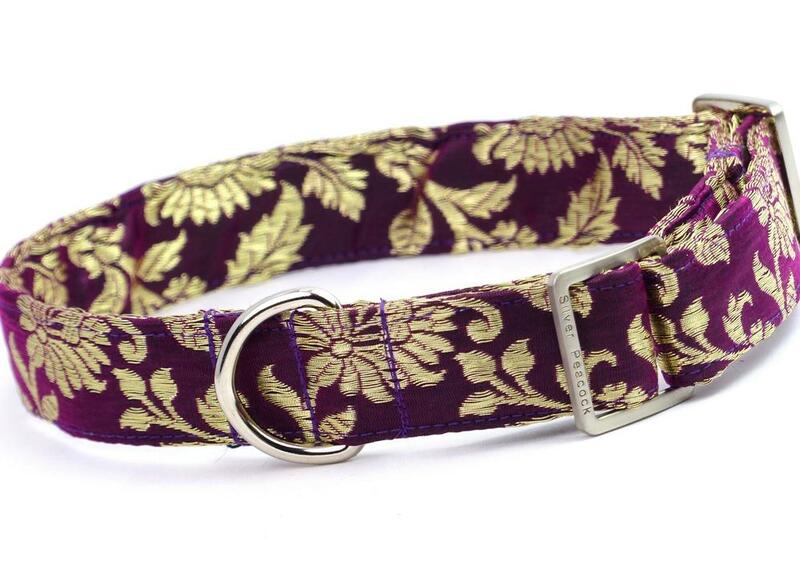 This is the perfect collar! OK It wouldn't be suitable to be worn every day, but you don't wear your party dress every day do you?! Made from stunning shot cerise purple sari fabric woven with heavy metallic gold coloured thread in styalised floral patterns traditional sari designs. 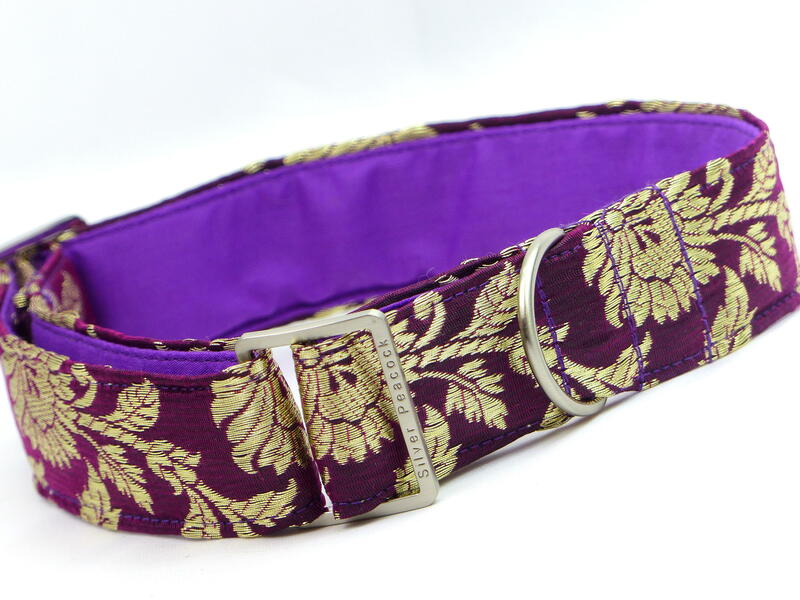 We've picked different bits of the sari for the different collars so the house collar has more open designs than the border pattern of the martingale. 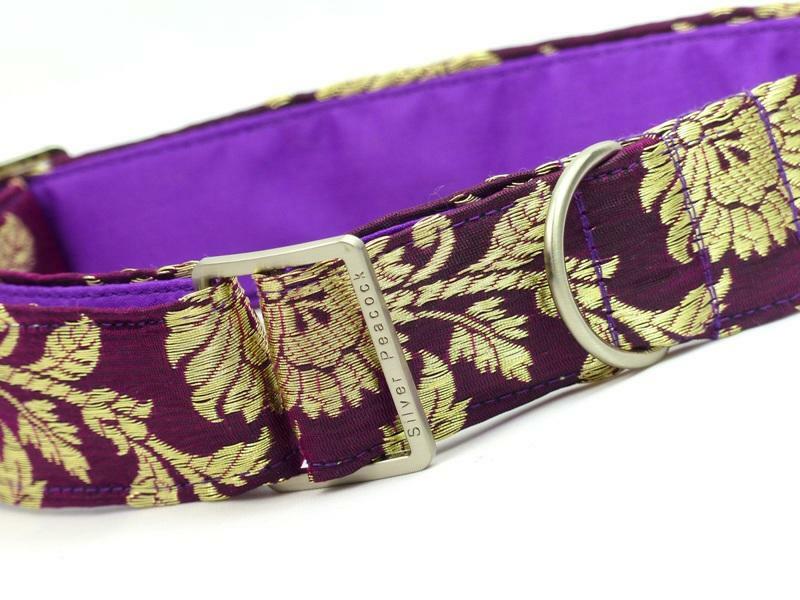 The collar is lined in bright purple fabric and is finished with robust silver coloured hardware.